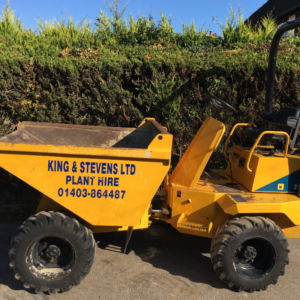 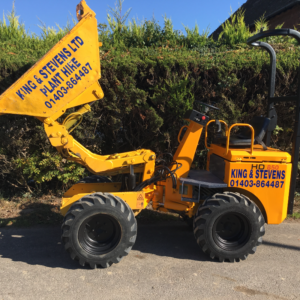 This compact track dumper can turn on its own length offering greater accessibility and manoeuvrability in small confined areas where larger plant can’t gain access. 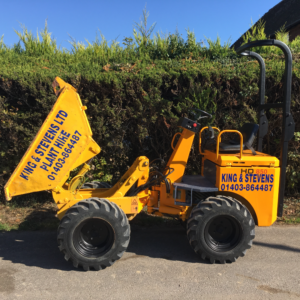 With a very low ground pressure and rubber tracks offers minimum ground damage, while excellent gradability and stability ensures safe operation of the dumper. 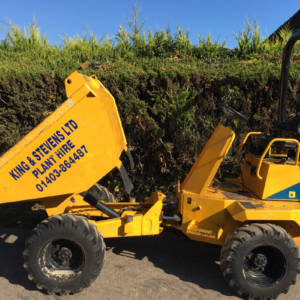 Complete with hi tipping capacity the Slanetrac offers a tipping height of 1300mm, and easily tips into skips. 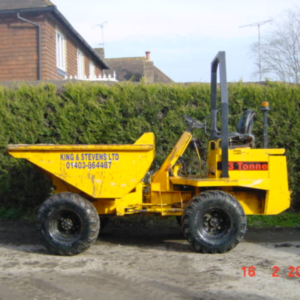 Basic specifications and dimensions are below.